You are here: Home / Marketing Talk / What is #30Thursday? When I first started using Twitter and my blog, I was concentrating, as most new folks do, on how to push my stuff out. Even though that isn’t a best practice, it’s also hard to avoid when you’re new. You need to show that you have something to say other than “Earn millions of dollars while working from home,” right? Eventually, though, I started to see the error of my ways, and I wanted to start pushing other peoples’ stuff out there too. I realized that the only way I could do that effectively was if I started reading other peoples’ blogs. So, I started making a concerted effort to read a few blogs a day. I chose about 4-5. And I would gravitate towards those same blogs every day. After awhile, I realized that wasn’t really the spirit I want to bring to Social Media either. It wasn’t that I got tired of those 4-5 blogs. It was just that I started engaging with a lot more people who had a lot of good things to say, and I didn’t even know if they had blogs. I wondered if lots of other people had the same experience as me. After all, there is only so much time in a day. That’s why I started the idea of #30Thursday. There are a few key facets to the idea which are kind of hard to get across in 140 characters, so I thought I would expand a bit on them here. Not only do I get to read a lot more blogs now, but I also have the privilege of introducing you to people whom you might not know via any other Social Media site. I am introducing you via a brain-to-brain handshake (woah, that now seems way too creepy of an analogy but I’ll stick with it). My ultimate goal is for other people to do exactly what I am doing. Take recommendations of posts to include in a “top 30 of the week” post. There are a few reasons for this. Ultimately, my vision is for #30Thursday to become an expansive book club. With #30Thursday posts appearing at the hash tag every Thursday, there could be hundreds of blogs being shared, commented on, retweeted, etc. Think about it…if just 9 other people, in addition to me, started doing this, that would be 300 blogs shared in one day. Would that not be amazing? Would that not give you enough fodder for your own blog posts for the next 5 years, every week? Would that not introduce you to some amazing people that might be beyond your sphere in Twitter? I sure hope so. People who have submitted recommendations to me tend to ask, “Do you think this will be of interest,” or “does this qualify?” Really, anything that you think is well written and worth sharing qualifies. I have been able to take everyones’ submissions thus far because I haven’t gotten more than 30 recommendations – I supplement with posts that I read that affect me in a major way. If I start getting a lot more submissions, it will just be the first 30 I get. I do read every post I get so that I can offer a brief preview when I post a link. If you just post 30 links, you’re not really doing much more than broadcasting, right? I have not contacted people to let them know they’re on the list. I thought it would be fun to kind of surprise people. I’m kind of jostling that around in my head a bit. Let me know what you think would be more effective. So that’s pretty much it. I hope that this clarifies some of the questions that were popping up out there. By the way, I’d like to take this opportunity to announce that I will also be accepting one picture a week to go with the #30Thursday post. My stockhouse that I use doesn’t have a whole lot of exciting things to say about “30.” If you want to use the artistic side of your brain, just let me know. Try to keep it under 1mb, make sure you have rights to it, etc. I think this is a terrific idea Marjorie. Like yourself, I also had to learn how to navigate Twitter and how best to connect with the social media/media community. I continue to learn more and more every day that I utilize Twitter. My intial approach was to share information I found valuable and making sure they had proper hashtags—I was the RT king, ha. This inital approach brought me a lot of followers, but I quickly realized this wasn’t going to be enough because my followers had stalled. I realized I had to add my own value to the conversations going on—I needed to have my own voice, and it needed to be a valuable one. I began to write my own points of view about things going on, whether be it within RT’s, in the comments on various blog posts or articles, or my personal blogs postings. How I discovered you was via being part of the Twit chat that The Social CMO (@TheSocialCMO) hosted with Scott Monty (@ScottMonty) from Ford. I discovered the conversation via Carl Sorvino (@CarlSorvino). I happened to notice he was tweeting with specific hashtags, and got curious. That’s how I came across the conversation and was able to discover you, and was also able to put in my own two cents which ended up resonating with some members of the conversation, including Scott Monty himself. Ultimately, I think this goes to show that there’s various different things you can do to resonate with the social media world. You can’t just have one approach, as your own blog post showcases. It needs to be various approaches, it needs to be valuable, and it needs to be authentic. Regarding #30Thursday—when are you thinking of launching this? There’s a few blog posts I think I’d like to share. My blog is mainly illustrations and art which has resonated well with the Tumblr community, but I do occasional musings and posts on social media. I posted a few of them below, it’d be great to be able to post these for #30Thursday and get some feedback on them. Thanks again for some terrific suggestions, and sharing your personal approach on Twitter. It’s appreciated. First, I must apologize. I don’t know why your comment was put into moderation, but I think it must be because of the URLs you listed. That’s how a lot of people start with Twitter, I think. “Okay, so if I tell you what this guy said, I’ll become a resource for you.” But it doesn’t work, or at least not for long. Thanks Marjorie! 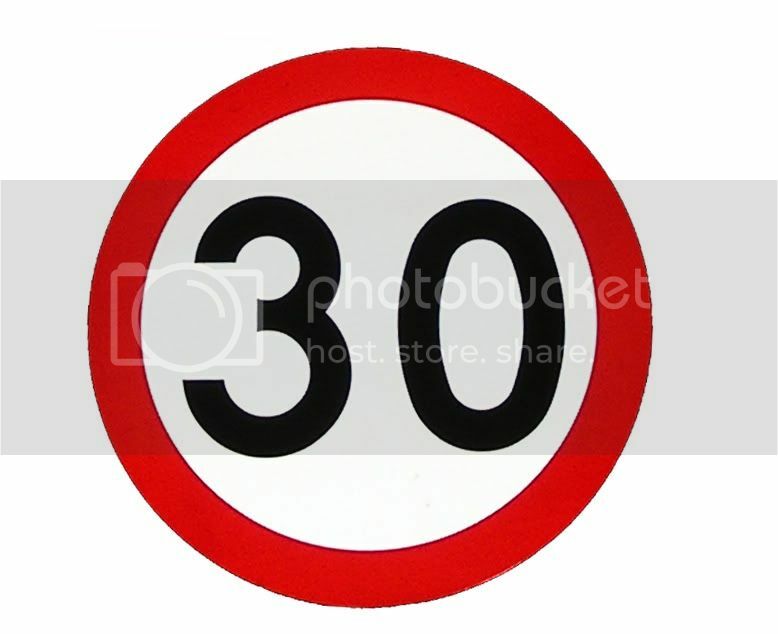 Once I began reading more on your blog I noticed #30Thursday had already begun, doh! Saw the #30 Thursday in a RT from @mayaREguru. What a great idea! I’m following you on Twitter and can’t wait to hear what you have to say! Also, how do we submit posts?